The Piping Systems textbook describes piping and tubing systems for transporting all sorts of fluids, including hydraulic fluids, steam, air, liquid products, refrigerants, and water. The textbook covers both metallic and nonmetallic piping, various methods of joining pipes, and how hoses differ from piping and tubing. It also covers valves, fittings, pipe hangers and supports, insulation, and other parts of a complete system. Does your curriculum require additional topics not included in this textbook? 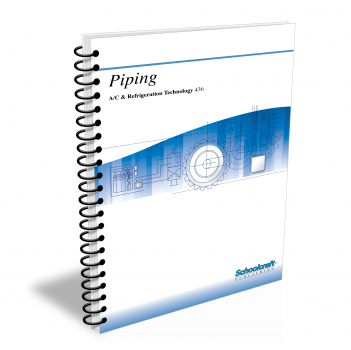 Build a customized version of the Piping Systems textbook below. Describe what typical piping systems consist of, and explain their importance to plant operations. Identify common valves and fittings, pipe hangers and supports. Describe the effects of temperature on piping system components, and explain the need for insulation. List routine maintenance considerations for piping systems. Explain how metal pipes are sized and designated according to standard codes and schedules. Identify the characteristics of metals that make them suitable for a variety of piping applications. Describe the different methods of connecting sections of metal pipe, including bell-and-spigot joints, welded, soldered, or brazed joints, screwed or threaded joints, and flanged joints. Discuss the major considerations involved in the maintenance of metal piping. Name the basic nonmetallic piping materials, and discuss the advantages and disadvantages of each. Identify the different forms of clay pipe and concrete pipe. Explain the difference between thermoplastic and thermosetting plastic pipe. Discuss the limitations of plastic pipe. Describe how to join sections of nonmetallic pipe, and how to maintain them. Compare piping and tubing, and list the major advantages of tubing. 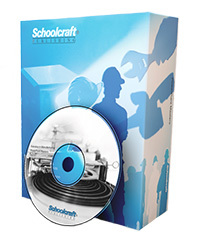 Describe the methods of cutting, bending, and joining sections of tubing. List the main types of metal tubing, and describe the kinds of industrial applications in which they are used. List the main types of plastic tubing, and describe the kinds of industrial applications in which they are used. Explain how hoses are sized, classified, and constructed. Discuss the respective advantages of metallic hose, nonmetallic hose, and reinforced nonmetallic hose. Describe the common types of hose couplings used in industrial service. List the primary maintenance requirements of hoses. Discuss the main functions of fittings. Identify common pipe and tube fittings. Contrast screwed, flanged, and welded connections, and tell why one type of joint may be preferred for a given application. Explain how expansion joints and vibration dampeners work. Demonstrate a knowledge of the symbols used to represent joints and fittings on schematic drawings of piping systems. Explain the various ways in which valves control fluid flow in piping systems. Identify gate, globe, needle, ball, butterfly, plug, and check valves, and tell what each is used for. Explain how and why quick-opening valves are used in industrial piping applications. Describe routine inspection, lubrication, and maintenance procedures for common valves. Explain how diaphragm valves work. Describe the functions of the three main types of blowoff valves. Tell how regulating valves, relief valves, and reducing valves are used in industrial piping systems. Describe how different kinds of actuators open and close valves in response to pneumatic, hydraulic, or electrical signals. Discuss the protective uses of strainers and filters in piping systems. Explain how the relationship between pressure and temperature affects steam lines, and creates the need for steam traps. Describe proper steam trap maintenance. Explain how and why air-vent and water-drain valves are used. Describe how a heat exchanger works in a fluid system. Describe how different types of gauges are used to measure pressure and temperature in piping systems. Explain why rotary pressure joints are necessary in some applications. Describe the functions of accumulators and receivers. Tell how actuators and intensifiers are used in fluid-power systems. Discuss the principles of preventive maintenance and repair maintenance as they apply to piping systems.